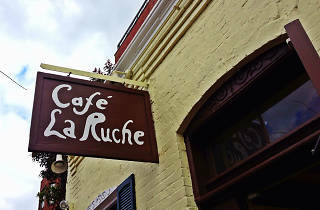 Café La Ruche | Restaurants in Georgetown, Washington D.C.
Quaint from the outside, a little more hip on the inside, La Ruche is a comfort zone for Francophiles who don’t want to drop a big wad of cash on their cuisine of choice. They gather here in swarms, making a buzz of conversation while waiting for chef Jean-Claude Cauderlier’s cooking. 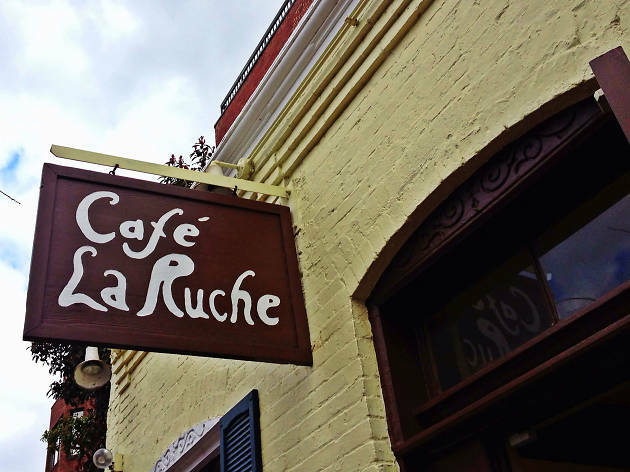 The food comes café-style, with a wide range of choices in the quiche/sandwich/salad range, plus a smattering of daily entrée specials such as mussels and duck à l’orange. Desserts, which include a range of traditional tarts, are made in-house. Brunch (10am-3pm weekends) is popular, especially in the garden when the weather’s good.